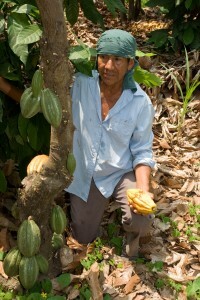 Impact Investing goes Rural | Is the Amazon ready for social impact investment? Is the Amazon ready for social impact investment? 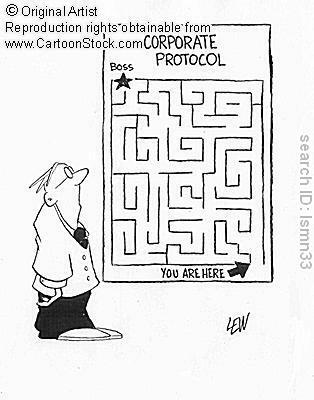 Cultural Recipe for an Entrepreneur? Part of my work in Ecuador has been to evaluate the entrepreneurship “climate” in the Amazon and throughout the rest of the country. 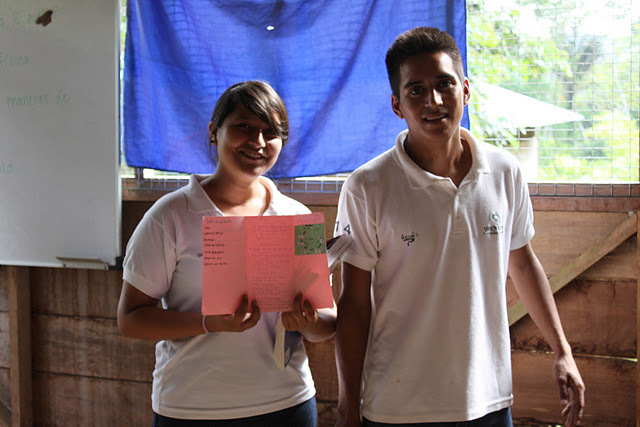 It is no secret that Ecuadorians in general are very entrepreneurial, as proven by the Yachana High School students’ social business plans. I’ve mentioned before that the Global Entrepreneurship Monitor (GEM) even ranks Ecuador as 7th in the world for Total Entrepreneurial Activity (TEA). But hold on for a hot second… if this is the case, then why isn’t Ecuador pumping out innovative, high-potential ventures left and right? Because there are two main types of entrepreneurship throughout the world: necessity-driven (emprendimiento tradicional) and opportunity-driven (emprendimiento dinámico), and Ecuador happens to practice the former much much more than the latter. Necessity-driven entrepreneurship usually entails setting up a small business selling basic product(s) or service(s) because there is no employment elsewhere due to lack of education, geographic location, economic state of the country, etc. Necessity-driven ventures in Ecuador usually employ 2 – 3 people from the same family, and often provide similar products and services to other small “pop-up” businesses close by. This type of entrepreneurship typically leads to small, local businesses. Opportunity-driven entrepreneurship occurs when someone has the ability to choose between employment and setting up their own venture. An example from Ecuador would be a group of Amazon guides getting together, discussing the need for a tour operator in a specific region, and setting up their own independent travel agency. Without the agency, they would each still theoretically have a place of work. This type of entrepreneurship is conducive venture-level enterprises that could potentially scale throughout the nation or even internationally. The prevalence of necessity vs. opportunity–driven entrepreneurship in a country can be influenced by many social, political, and economic factors. I have also come to believe that it is heavily influenced by culture. And from my time spent in and out of Ecuador over the past few years, I’ve begun to realize that certain culture’s tendencies may be more conducive to opportunity-driven entrepreneurship than others. I realize I’m making what many may consider a bold statement here, but read me out. When you think of an entrepreneur, you think of someone who’s not afraid to take risks and break the norms a little bit, who’s comfortable with lots of gray area, and who’s very independent-minded. Obviously, this type of person comes few and far in any setting, but certain cultural dimensions may make him / her more common in some countries than others. Geert Hofstede, a Dutch social psychologist and anthropologist, has spent nearly his entire professional career identifying how cultural dimensions vary from country to country and across geographic regions. In my research I’ve decided to look at 3 out of the 6 dimensions in Ecuador and compare them with the United States, which has historically generated a slew of successful entrepreneurs comparatively, and Chile, which is considered to be on the most competitive economies in Latin America and is quickly rounding the corner on one the most innovative (idisc.net). The first dimension is Power Distance – “the extent to which the less powerful members of institutions and organizations within a country expect and accept that power is distributed equally” (Hofstede). The higher the score, the more a culture accepts inequalities and strict hierarchies as a fact of life. The lower the score, the more a culture expects a democratic approach to power relations and isn’t afraid to step outside the lines. Ecuador has a power distance score of 78, while the US has a score of 40 and Chile 63. This signifies that relative to the other two countries, Ecuadorian culture generally operates within very strict social and organizational hierarchies, which not only creates bureaucratic disasters but can also intimidate those in lower social or organizational positions from speaking up with new ideas. Por ejemplo, I usually work on my laptop at the Yachana Lodge’s bar where there is reliable wifi and a consistent electrical current. We recently got a new bartender, Pepe, who is a gem of a person and has really made my working afternoons quite enjoyable with his crazy tourist stories and attempted jokes in English. One day, Pepe decided that he wasn’t comfortable with me charging my laptop when lots of tourists were around for fear of spilling something on it, having it in is way, etc. Totally fair, right? Right. Well, I actually never heard this tid bit of information from Pepe, but rather from the lodge general manager, who heard it from the assistant manager, who heard it from the head chef, who heard it from Pepe. Deciding to go directly to the source, I approached Pepe to ask if we could work out a schedule as to when I could charge my laptop. He said of course, and that he had wanted to do that from the beginning. BUT…. that we would have to get it approved by the kitchen manager, who would need to get it approved by the assistant manager, who would then need to run it by the general manager. Remember the game telephone? Where the more people you have the more the orginal sentence gets distorted? I’m sure you can imagine the communication rat race that ensued. 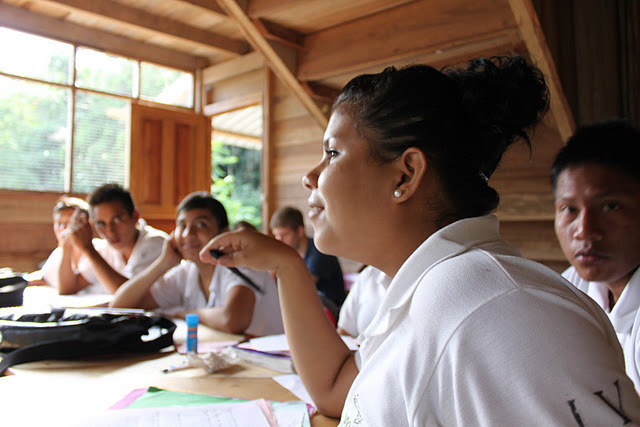 In Ecuador, I see it in our students who become frustrated and almost uncomfortable with open-ended questions. I see it with young entrepreneurs who prefer to copy a business model they saw work down the street rather than go with their gut feeling to try something new. And I hear it almost daily with the response “Ya mismo!” (Soon!) if I ask a question with the word “When?” in it, even if who I’m asking has no idea “when” whatever I’m asking about will actually happen. Anything to not be responsible for leaving me in a state of uncertainty… Just 4 days ago myself and two other Yachana volunteers were left waiting at a bus stop for 4 hours thinking that “ya mismo” a bus would come. We should have known that no one really knew anything about why all the buses disappeared that afternoon. The third cultural dimension is Individualism vs. Collectivism which measures “the degree of interdependence a society maintains among its members.” It has to do with whether “people’s self-image is defined in terms of ‘I’ or ‘We’” (Hofstede). The higher the score the more individualistic a culture is, and the lower the score the more collectivist it is. Ecuador is one of the most collectivist societies in the world with a super low score of 8, while the US has one of the highest scores of 91. Chile falls in the lower quarter with a score of 23. Extremely collectivist societies place a heavy importance on harmonious group relationships and seek to avoid conflict at all costs. The term “group” could mean anything from an extended family, to an organization, to a race or ethnicity. In Ecuador, I have seen this in the form of small enterprises over-hiring family employees as the expense of the business so as to not have to say no to their relatives. I have also witnessed this cultural tendency when Ecuadorian consumers decide against reporting bad business practices in order to avoid upsetting their neighbors. I do not mean to shed a negative light on the beautiful people of Ecuador by sharing these little stories. Rather, I wanted to highlight how a country’s traits and characteristics can seriously play a role in the development of an “entrepreneurial” culture. Of course, the scores assigned to each culture by Hofstede do not mean that one is better or worse than the other. They simply highlight how each is different. Neither are these scores fixed, as cultures are continuously morphing and changing parallel to others that are morphing and changing simultaneously. It should also be noted that these indices paint a picture of the culture as a whole, and do not represent the traits and characteristics of individuals. I have met some amazingly innovative and non-traditional Ecuadorian entrepreneurs during my time here who honestly shatter the cultural dimensions that have been assigned to their country. Programs like EmprendEcuador (Startup Ecuador) are working to push Ecuadorian cultural toward one that is more entrepreneurial by offering financial services that minimize risk, building relationships between existing entrepreneurs, and encouraging members from all pockets of Ecuadorian society – rural, urban, men, women, Kichwa, mestizo, etc – to try something new and different. And while it’s only 2 years old, I can already see glimpses of it working! As if he and his pet project, Facebook, don’t get enough praise for facilitating the instant (and free) connection between more than 800 MILLION people worldwide, I would also like to applaud him and his $45 BILLION dollar jumble of 1’s and 0’s for successfully finding a way into the lives of people who not only don’t have personal computers, but who also do not have access to the internet. 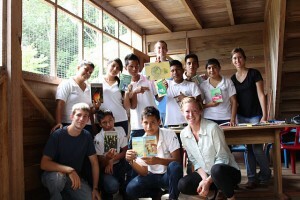 More specifically, the lives of those living in rural Ecuador. How DOES he do it? The study showed no significant differences in the adoption of social media between urban and rural areas. So in a nut shell, not only is anyone and everyone with an internet connection in Ecuador signing up for social networking sites, but even those without internet are literally seeking out ways to get an account and making time (and spending lots of money) at internet cafes to sign on to sites like Facebook, Hi5, Badoo, and Sonico quite regularly. To give these facts and figures a little more perspective, imagine you’re from Mondaña, Ecuador. You’re still not connected to the national electricity grid, and cell phones rarely get decent service – then all of a sudden the Yachana Foundation installs wireless internet services for the local schools. A week ago it was difficult to communicate with the other side of the river, but now that you’ve created an account on Facebook you can pretty much communicate with the rest of the world. Whoa. The implications of this are massive, both in the positive and negative sense. On the positive side, I’ve seen individuals connect with their loved ones working in the US and Spain and discover long lost family members around Ecuador (Ecuadorian families usually roll about 100-deep…). A few of those surveyed even use Facebook to promote their small businesses. And then there’s the negative side. Let me start by explaining that one of the predominant uses of social networks in Ecuador is meeting new people. As Americans, this is difficult for us to culturally relate to as we tend to use social networks mainly for keeping in touch with our existing circle of friends and family members. In a perfect world this “cocktail party” approach to Facebook would be all fine and good, except for the fact that many of the students I surveyed admit to uploading personal information, including phone number and address, to their profile pages. When asked if they use Facebook’s privacy controls or if they knew how many people had access to this personal information, most of them looked at me like I had seven heads. This is no bueno – especially when more than 1/10 of any given user’s “friends” are “desconocidos,” or complete strangers. Add in a national firewall system that’s about as strong as wet noodle as you’ve got a recipe for some intense cybercrime. In fact, identify theft, spamming, and spyware installation by way of social network mediums is one of the top crimes in Ecuador right now. So what’s the solution? I vote for host responsibility and increased education. In a country that literally skipped chat rooms, dial-up, AIM and all other archaic internet applications, the learning curve is a bit steeper than it was in the past and ignorance will only lead to short-lived bliss when it comes to the ever present threat of viruses and cyber criminals. So Mr. Zuckerberg, I know you’re all for the “opt-in” approach when it comes to Facebook privacy, but I think it would actually be good for business to have one of your 3,000 employees create an “opt-out” privacy tutorial for new members who in addition to being new to Facebook, are also new to the world wide web. I know Ecuador is just a tiny country, but multiple negative user experiences in similar emerging markets around the world could create some problemas down the road. And while we’re on the subject of business, we also can’t overlook the huge opportunity that the rapid emergence of social media has created in Ecuador. For entrepreneurs, social media not only represents a new (economical) interface to engage and connect with consumers, but the social networking wave has also created tons of new jobs and businesses in web marketing and digital media. Last weekend I went to Tena with the other Yachana volunteers. Even though it’s still in the jungle, Tena is a fairly large city and serves as the gateway between the Andes and Amazon. While it was nice to get some R&R, escape the bugs (though they found me in Tena, too) and take advantage of fast(er) internet, the main purposes of my quick weekend getaway was to bask in the awesomeness that is electric laundry services. In case you missed it earlier, it literally takes DAYS to do laundry in the jungle. And since everything is always damp and border-line musty, I’ve developed an obsession with washing as many clothes as possible whenever I have access to functioning washing machines and dryers. So literally the second my friend Amanda and I set foot in the “metropolis” of Tena we went off in search of a lavanderia, or “laundry service.” I honestly can put into words how stoked I was to have REALLY clean clothes. We first tried the lavanderia we had used during our previous visit which, according to the larger-than-life sign outside, was just started with the help of a micro-credit cooperative. I must admit I enjoyed the thought of supporting a new venture, especially one that I personally had a need for. As we ascended the steps, I began to notice the absence of whirring spin cycles and dryer buzzers. Worry quickly turned into slight panic. They were closed. Not even a “back in 5” sign was to be found. But how!? Why!? Their monstrous sign clearly states they should be open at this perfectly normal business hour of 3:00 pm. Confused and devastated, we lugged our jungle-y clothes back to our hostel pondering the fact that it was really no surprise to find a business NOT observing its stated hours of operation in Ecuador. Our next attempt was recommended by our hostel owner, who quickly pointed us in the direction of her employee’s aunt’s brand new lavanderia on the other side of the street. “They’re open all day, even on Sunday!” she said. Another new business to support and they’re open? Perfect. Let’s go. The drop-off was abnormally smooth. A young boy assured us he could take the “jungle-ness” out of clothes and sent us on our way with “That will be $4.00, you can pick it up tomorrow morning” all in less than 5 minutes. In case you didn’t know, that’s equal to the speed of light in Ecuador. Then disaster struck. Amanda and I arrived as told the following morning each with $4 in hand. 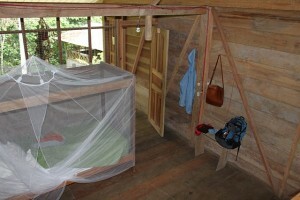 There’s really nothing like clean clothes on a Saturday morning in the jungle, so we were in higher than usual spirits. But once we got back to the hostel and began to unpack, that same feeling of worry and panic consumed us immediately. We both noticed bleach spots on a few items, and then further investigation led to Amanda discovering that nearly all of her clothes had been stained… no… tortured with bleach – and not in the cool tie-dye way. Mind you, clothes are scarce, precious resource in the jungle. As professionals we struggle to look half way decent while protecting ourselves from bugs, the sun, the heat, razor-sharp plants, and basically everything else the jungle throws our way. And now Amanda’s wardrobe / arsenal of jungle protection had been destroyed by the bleach monster AKA our hostel owner’s employee’s aunt’s son. 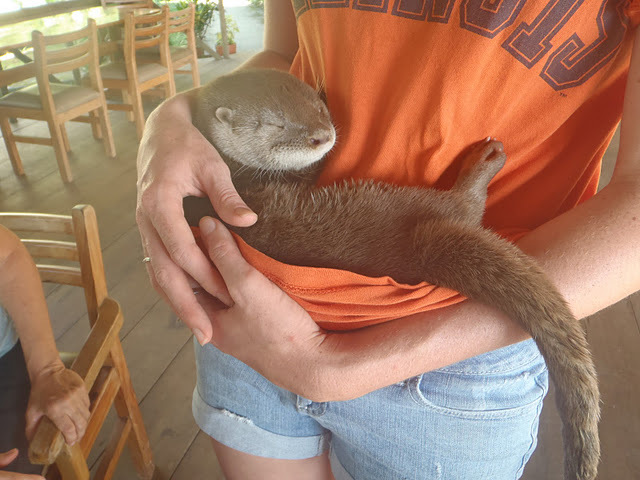 “It’s okay,” we told her. “Go back with the hostel owner, explain the situation, get your $4 back and surely they’ll throw in extra to help you buy new clothes.” That’s good customer service, right? Any well-run establishment would surely own up to what was most likely an honest mistake and find a way to make it all better.The response Amanda got was a mix of the following…. Amanda wasn’t taking no for an answer. “Yes, Señora. People do make mistakes and these things do happen. But it is that bad, and whoever did it should be held accountable.” The encounter ended with the lavanderia owners giving Amanda the silent treatment until she left in frustration. Our hostel owner was just as upset as Amanda with their apathy and encouraged her to reclamar or “file a complaint” at the Tena equivalent of the Better Business Bureau first thing on Monday morning. On a semi-unrelated note, I later advised a friend to use the original lavanderia Amanda and I had first tried to go to. Their enormous sign says Monday is good to go, surely it would be open. Right? Nope! Closed again. Am I surprised? Not really. From my current and previous travels in Ecuador, I’ve learned that good customer service, by international standards, is hard to come by. As an American, I didn’t quite realize its economic value until I experienced its absence. But then I thought – The reason I always shop at certain stores, eat at select restaurants, go out of my way for my favorite coffee shops, and so on, is due in small part to cost and quality, but in larger part to their level of customer service. Good customer service costs practically nothing in the long run, and what you get in return is invaluable: loyal patrons and a positive reputation that will bring your more business than all the obnoxiously large signs in Ecuador ever could. I’m not saying that there are zero businesses in Ecuador that practice good customer service – there are probably many and I’m sure they’re very successful. But in general, and at least in Tena, someone could make killing on a lavanderia or any other business that followed its listed hours of operation and offered a money-back guarantee to its customers. I’ve mentioned this before, but I truly believe that Ecuador is at a tipping point with respect to economic development… I see and feel it all around me as I travel throughout the country and meet with budding entrepreneurs. Incorporating customer service best practices could not only potentially speed this process along, but also ensure its sustainability. While I can’t change the whole country over the next 2 months, I do have 10 high school juniors who are eager and willing to learn about entrepreneurship and business design. So while planning my next Village Capital-ito program, I’ve decided to add in a lesson on the other half of what makes a successful business – its customers. This just in: As I was writing this Amanda sent an email update from Tena. While it took some perseverance, the lavanderia owners might be giving her the money back tomorrow. The Customer Service Revolution is working! Wow, is it really the middle November already? 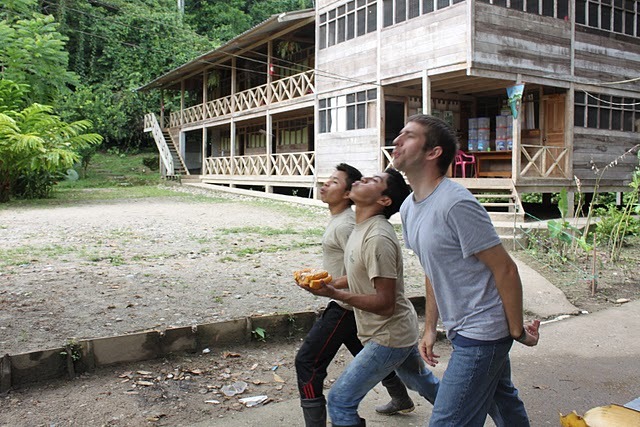 Even in the tranquil Ecuadorian Amazon, time seems to fly right by. 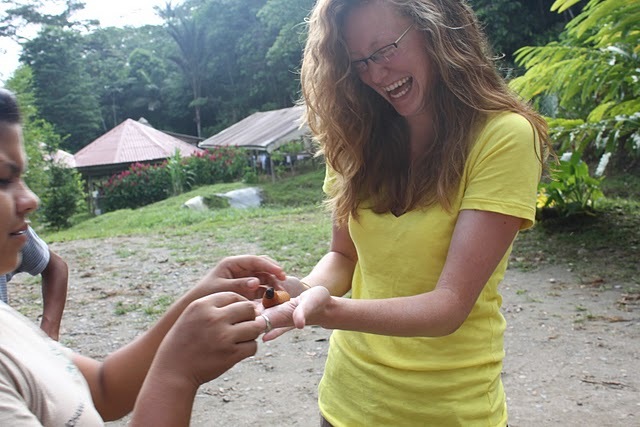 It’s probably because there’s never a dull moment here at Yachana – any given week is a mix of meetings with social entrepreneurs, business workshops at the high school, the occasional Kichwa lesson, and tending to my ever-present bug bites. But those aren’t the only things that make the time pass “rapidamente” here: add extreme rural isolation and lack of modern infrastructure to any of the above activities and they immediately take twice as long, and thus make your day about twice as short. Communication is also a bit tricky in the jungle. Thanks to the Yachana Lodge we have wifi, but not enough bandwidth to send large files or to make voice calls. Sometimes you can find a bar of service on a cell phone, but chances are the signal will disappear within the first 5 minutes of your call and you’ll have to start doing what has been so aptly named “the signal dance” until you find another lonely little bar of signal somewhere else. And while satellite phones work flawlessly, they’re very expensive and not at the disposal of the masses. Let’s pretend you have small crop of pineapple plants. Pineapples usually sell for a set price, regardless of how or where they are grown. A jar of pineapple jam, however, can sell for more than triple the price than the same quantity of fresh pineapple. The additional costs of canning the jam are minimal – corn syrup, a little sugar, maybe some spices, and glass jars. The finished canned product is a fantastic way to increase the value (and shelf-life) of many fruits and vegetables without incurring substantial costs. And who doesn’t love fresh jam in the morning? But now let’s pretend you have a small crop of pineapple plants and you live in Mondaña, Ecuador. If you decide to start canning pineapple jam, the costs of glass jars and bringing the final product to market instantly increase because of difficulties in transportation. Since you’re not connected to the electric grid, you have to continuously purchase tanks of propane gas for your stove in order pressurize and seal the jars. 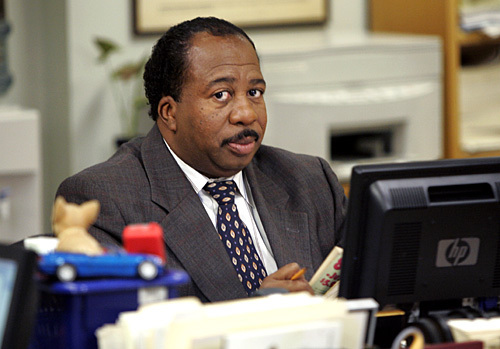 And because you have no reliable way to connect with potential retail customers outside of Mondaña, selling your product requires personal trips to the big city to negotiate contracts. Well, shoot. As much as I love pineapple jam and want to share its sweet goodness with the rest of the world, there’s no way I would ever start a canning business in the jungle. By the time you add up all the additional costs, not including time and effort, you’d make the same amount of profit as you would just selling the raw pineapple at the weekly market. The lack of infrastructure in Mondaña and surrounding rural communities makes it difficult for any entrepreneur to ever achieve economies of scale with their venture. 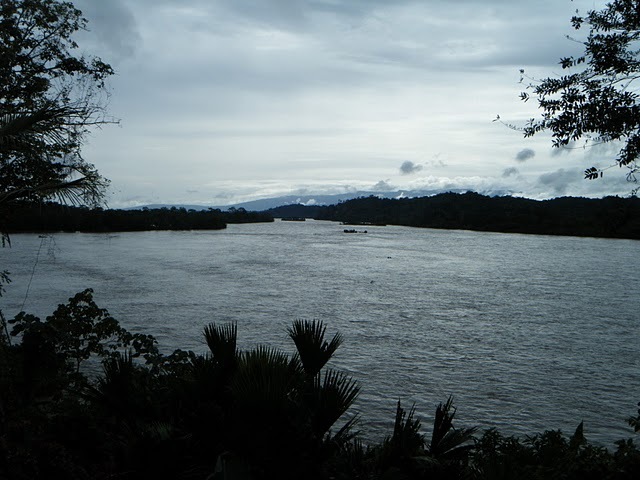 And to think, the Amazon is literally busting at the seams with exotic fruits, medicinal plants, and rare spices and herbs that could easily be cultivated (sustainably, of course), processed, and sold throughout Ecuador and rest of the world. Such small enterprises could substantially increase the household income of and livelihood of thousands of families. But alas, without modern infrastructure it is simply not feasible to begin such projects. A few cases such as Kallari Chocolate and Runa Guayusa have been successful and their positive social and environmental impact cannot be ignored. But they are the exception, not the rule. Many have argued that the creation of infrastructure, i.e. 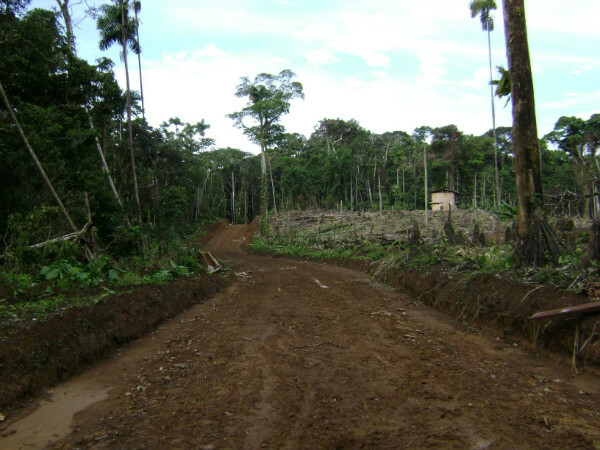 electricity, communication services, and the construction of roads in the Amazon are all negative things. “We’re encouraging deforestation,” “we’re replacing century-old traditions with Facebook,” “we’re ruining the sunset over the Napo River with electric poles,” and the list goes on. While all of these are extremely valid and very serious concerns, at what point do we have the right to tell the citizens of the Amazon that they can’t have a decently paved road or a functional communication system if they want them? 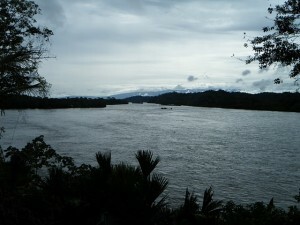 As much as many Americans are itching to “get away from it all” and escape to pristine pockets of natural beauty such as the Amazon, many rural families and communities in the Amazon are literally desperate to “get away from it all” …All being the difficulties in transport, little access to basic goods and services, and isolation from international commercial markets. I first noticed the extremity of these crisscrossing sentiments while traveling back to Yachana from Quito the other day. So where is the line? Of course we want everyone to have the same opportunities for economic freedom and improved standards of living. But we also want what literally makes up the lungs of the earth to continue to provide us with clean air, bio diversity, and countless other environmental services. I’m pretty sure someone could win the Nobel peace prize for figuring out this not-so-little problem. Until then, Ecuador and countless other emerging markets could sure use any ideas and suggestions! I left off in my last post describing the mini Village Capital program that we were in the process of piloting at Yachana High School. (Need a refresher?) After 3 weeks of intense business planning, slight confusion, intermittent frustration, and lots of learning on both ends, we selected a winning social enterprise! Of course everyone is a winner in Village Capital-ito, which is evident in the 8 sophomores who can now rattle off the importance of a value proposition and the difference between startup and overhead costs.. However Gina and Manual of “Nuevo Amanecer” (A New Day), an organic fertilizer company, came out as clear winners by receiving over 60% of first place votes by their peers and teachers. Now I want you to think of all 16 year olds you know… think any given pair of them could come up with feasible social enterprise in 3 weeks? As I’m sure you can imagine, I was left completely jaw-dropped and speechless after listening to each group’s final presentation. True, I led them through a few workshops beforehand on business modeling and how to calculate costs over time, etc… but I can’t possibly take credit for how well each group performed. These kids have business savvy in their genes. The business model canvas, jungle-fied. In general Ecuadorians are extremely entrepreneurial, occupying the 7th place for total entrepreneurship activity (TEA) in the world. However, the majority of Ecuadorian entrepreneurial activity is necessity-based (due lack of other employment options) rather than opportunity-based (starting a new venture despite available employment options). But after having witnessed such stellar business plans from students who had just learned the meaning of “profit model” and how to calculate a percentage, it’s evident that this ratio is nearing a tipping point. Watch out, world… my confidence in Ecuador’s entrepreneurial talent is stronger than ever. 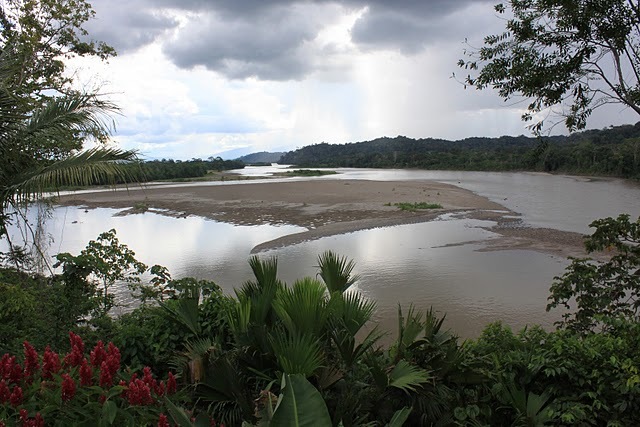 of the best and the worst of the Ecuadorian Amazon; everything from Kichwa culture, fried yucca and our favorite animals to deforestation, pollution, and extreme poverty. The students later broke into teams based on mutual interests from what turned into a brain-downpour of needs and opportunities within the region. 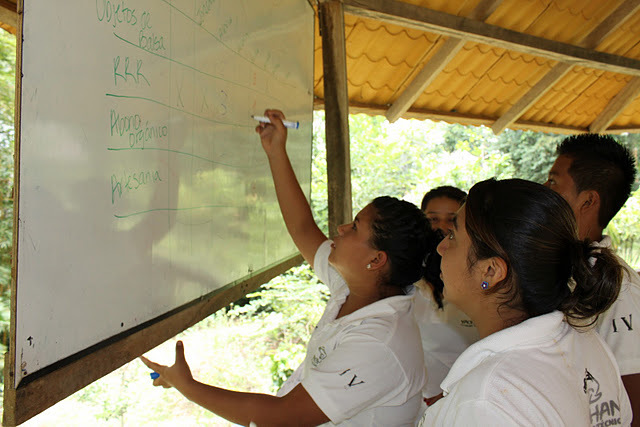 Each team was then tasked with creating a profit-generating business around their chosen social opportunity / need using the resources that are immediately available in the Amazon. Artesanias Regionales (Regional Handicrafts): an intermediary dedicated to providing employment and greater income to local artisans by buying their products and re-selling them in areas frequented by international visitors such as city centers, popular hotels, and tourist attractions. Muchshuk Kawsay (Kichwa for ‘New Life’): a socially conscious manufacturer of Balsa figurines. 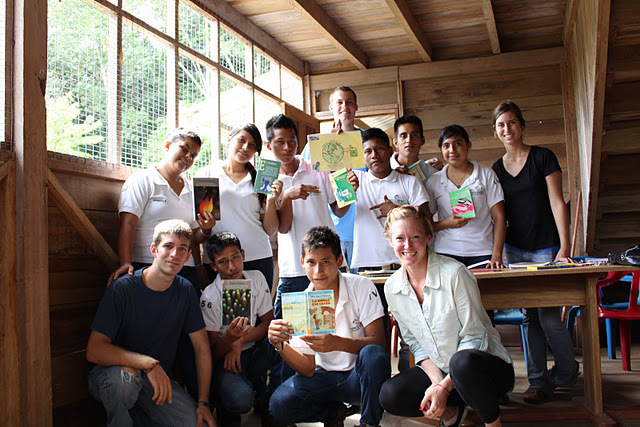 Balsa wood is typical to the Amazon, and Muchshuk Kawsay plans to source their material responsibly and educate customers about the different aspects of the Amazon through various figurine designs such as plants, animals, and insects. Nuevo Amanecer (A New Day): an organic fertilizer manufacturer that utilizes native plants and traditional knowledge to create 100% organic plant fertilizers. 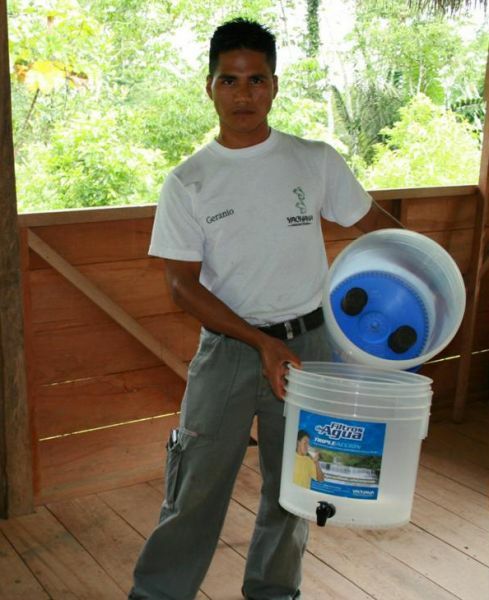 Their main objective is to prevent illness from chemical use and contamination of water sources. 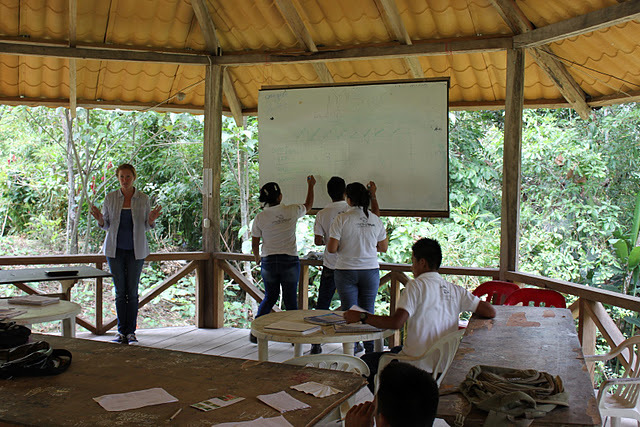 RRR – Reducir, Reusar, y Reciclar (Reduce, Reuse, Recycle): an educational firm that sells workshops and certification programs to the governments of rural communities and towns on how to properly dispose of recyclable material and reduce waste. When the day finally came to present their final business plans, an air of nervous and excitement circulated throughout the classroom. Each group had stayed up late the night before to place the finishing touches on their marketing materials, financial projections, and oral presentations (the only reason I know this is because my room is right next to the library and our inch-thick walls do little to muffle noise. Mental note for anyone who comes to work at Yachana: don’t pick the room closest to where all the late-night homework takes place). After each team had successfully presented, the students were asked to rank each enterprises from 1 – 4 based on feasibility, potential social impact, and projected financial return. In previous Village Capital programs around the world, usually 1 – 2 particpating enterprises receive the majority of peer votes. So as was expected, one enterprise from Village Capital-ito came out as the clear favorite: Nuevo Amanecer. In previous posts, I’ve mentioned working with a social enterprise accelerator called Village Capital. After such posts, a few of you have sent kind emails and notes saying that while the pictures are nice, most of what I write zooms straight over your head. And that’s just no bueno. So here goes – my grand attempt to explain Village Capital, impact investment, business accelerators, and social entrepreneurship. But promise me this – if I clear all this up for ya’ll, will someone please tell me (in one sentence) what the heck all this “Occupy Wall Street” stuff us? Not a single news source has been able to give me a straight answer…. So travel back in time with me circa 2006. Muhammad Yunus and the founders of the Grameen Bank have just won the Nobel Peace Prize for making popular the financial tool that forever-changed development: Micro-credit. Micro-credit was designed so that the “un-bankable,” or rather those who did not have sufficient income for a traditional bank loan, could be granted small loans at low interest rates. With these affordable loans they could then start a small business, purchase a piece of machinery, invest in a few pairs of animals, or purchase some other type of working “capital” that could help to generate more sustainable income for their family. What’s unique about micro-credit is that within the Bangladeshi communities that were initially served, the Grameen Bank formed small groups of individuals and asked them to vote amongst each other as to who was the most “loan-worthy” at the time. This peer lending model not only created solidarity within each group, but also established accountability and a faint sense of peer pressure. If an individual did not work to repay their loan, chances are their peer lending group would not vote to grant them another loan in the future. Within peer lending groups, micro loans have an average repayment rate of 97%. You don’t have to be a Swiss banker to see that the peer lending model works. So now let’s travel forward in time to late 2010. (But remember the concept of peer-lending, you’re going to need it later!) First Light Ventures, an impact investment fund, was brainstorming cost-effective ways to expand their portfolio of social enterprises and unlock the potential of social entrepreneurs in emerging markets. Stop… I know what you’re thinking. “There you go and lose me again, Megan. What in the world is impact investing? And how is a social enterprise different from a regular enterprise? Hold your ponies, I’m getting there. A social enterprise, led by a social entrepreneur, is different from a traditional for-profit enterprise in that in addition to generating a profit, a social enterprise also measures its success by the amount of social impact it creates. That is to say, a social entrepreneur will not consider his venture a success (despite any cash that is rolling in) unless his social mission is also being fulfilled. Social and impact are a bit harder to nail down, and can mean different things to different entrepreneurs. This in and of itself is a beautiful thing and creates room for innovation across a variety of social needs….employment, healthcare, education, affordable access to basic goods and services, climate change mitigation, waste management, security, financial services…. You get the point. Typically, social enterprises are geared toward the “Bottom of the Pyramid” (BOP), which represents the 2.5 billion people in the world that makes less than $1,000 a year. The population at the BOP makes up a large consumer market that, if given the chance to consume and take advantage of goods and services that are affordable, sustainable, educational, useful, nutritious, safe, etc., could begin to lift itself out of poverty and toward a higher standard of living. For example, Yachana Technologies (YT) assembles and distributes 20-liter home water purification systems that eliminate 99% of all water impurities. Their mission is to provide clean, affordable, safe drinking water and reduce dependency on plastic water bottles. If a family in the Ecuadorian Amazon making $800 a year decides to invest in a “Yachana Technologies water purification filter” for $40 (about 5% of their annual income), over time this family will save approximately $80-$100 a year on what they would have spent purchasing bottled water, their children will be at a lower risk for contracting parasites, dysentery, and other digestive illnesses and thus be able to attend more days of school, and finally the family will not be throwing away toxic, petroleum-based plastic bottles that when burned pollute the air more than any other type of burned material. YT then uses its profits to expand production and introduce its water filters in other areas where clean drinking water is scarce. 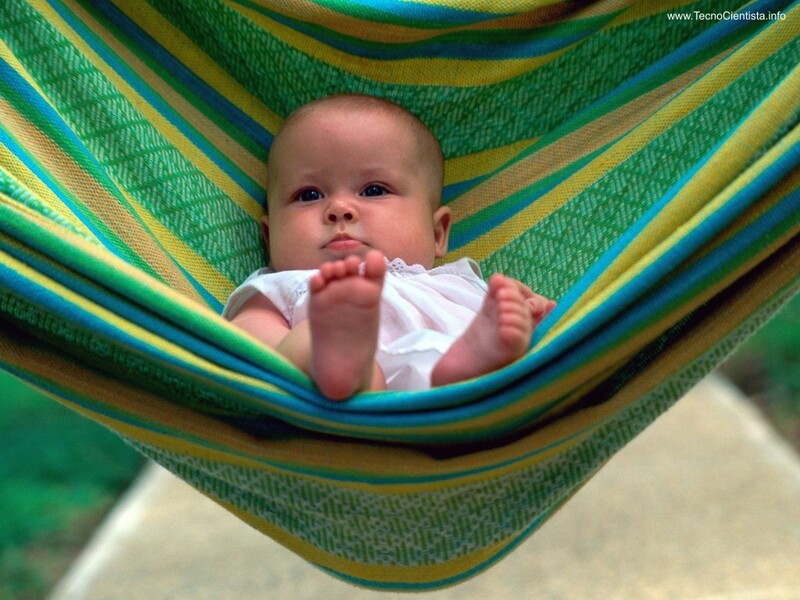 Saving money, happy healthy kids, less pollution, and profits to expand… genius! 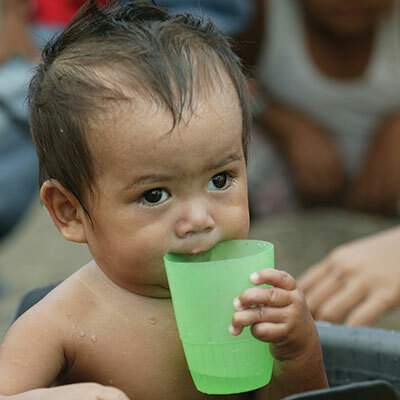 If you don’t have warm fuzzies and goose bumps just thinking about a child drinking water free of bichos del ombligo (belly-button bugs) for the first time, I don’t think we can be amigos anymore. So what happens when Yachana Technnologies wants to expand their filters to the Peruvian Amazon or work on prototypes for different BOP solutions? One option is to attract an impact investor or an impact investment fund. What is an impact investor? Darn glad you asked. Impact investors “actively seek to place capital [cash money] in businesses and funds that can harness the positive power of enterprise.” Some social businesses may have too large of a financial need to solicit a micro-loan or may be ineligible for grants that are intended for non-profit organizations. “Impact investing has the potential to unlock significant sums of private investment capital to compliment public resources and philanthropy in addressing pressing global challenges” (www.thegiin.org). However, one of the biggest hurdles for impact investors is actually getting people on the ground in emerging BOP markets to scope out social enterprises, meet the entrepreneurs (and converse in their native language), and report back to their board as to which enterprise is the most investment worthy. First Light Ventures, the impact investment fund I mentioned earlier in this post (probably seems like forever ago), was struggling with this same problem. And then it hit them… peer lending! In case you’ve already forgotten, in the peer lending model individuals voted amongst themselves as to who received the micro-loan. Could this same model work with social entrepreneurs looking to receive seed capital? It sounded like a solid idea, so First Light Ventures decided to test it out. Small groups, or “cohorts,” of pre-selected social entrepreneurs were taken through a 12-lesson business accelerator program where they were mentored by seasoned social entrepreneurs, given workshops on how to improve their businesses, scale their models, attract capital, successfully pitch their idea, etc.. All throughout the process, however, the entrepreneurs voted amongst themselves as to which social enterprise was the most investment-worthy. Sure enough, at the end of program 2 enterprises were left with a majority of the votes and therefore won a seed investment from First Light Ventures…. And the Village Capital model was born! This peer-selection process has since been implemented (very successfully) by Village Capital in San Francisco, Boulder, New Orleans, Mumbai, Sao Paolo, and London. The program has (in just 1 year!) graduated 137 participants and will have awarded nearly $1 million in seed capital to winning social enterprises. That’s $1 million going toward product development, job creation, market expansion, and all-around “good stuff” for the Bottom of the Pyramid population. 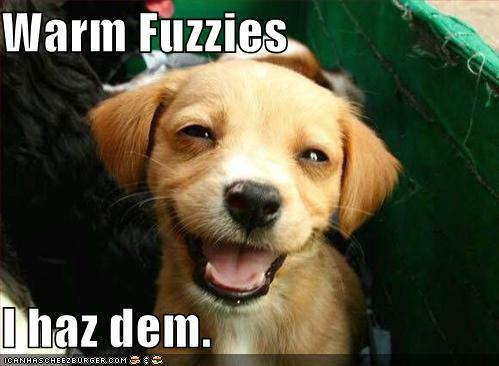 Are you feeling warm fuzzies again, too? I know you’re probably also feeling bad for the enterprises that don’t win (I was too), but don’t worry! It’s a win-win! During the acceleration process each enterprise gains access to invaluable mentoring and business coaching, will be exposed to a variety of additional impact investors, and most importantly leaves with a life-long network of peer social entrepreneurs. So let’s bring it on home for now, because I’m just as tired of writing as you probably are of reading. The whole point of me laying this all out is because while I’m down here researching possibilities for Village Capital in Ecuador, I’ve actually decided to test a micro-version of Village Capital, Village Capital-ito, (add –ito to anything in Spanish and you make it mini) at the Yachana High School. …And it’s going great! The students have spent the last 2 weeks developing social enterprises for the Amazon and have already begun to critique and offer suggestions for each other’s ideas. In part 2 of this post, I’ll tell you all about each group’s social enterprise, the triumphs and lessons learned along the way, and reveal the winning team of student entrepreneurs! I’m loving this weekend’s news coverage of “Bottom of the Pyramid” business solutions, so I thought I would share some of my favorite articles. 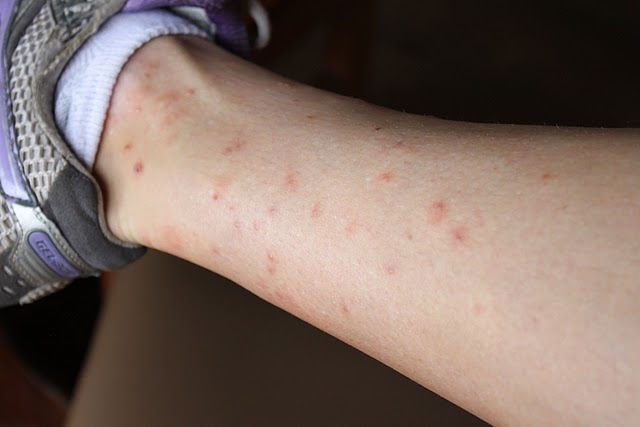 After a great week of social enterprise visits, entrepreneur meetings, and project proposals in Quito (more on these awesome adventures in a later post), I’m more than ready to head back to Yachana tomorrow… this time armed with an arsenal of insect repellents and light layers. On Thursday I’m starting a “Village Capital Junior” program at the high school, whereby the students will create their own mini-social enterprises and peer review each other’s work along the way. At the end of three weeks, they will have (hopefully!) learned how to create a business model, pitch their business idea to classmates, and identify key success factors for a successful enterprise. The peer-selected winners of “Village Capital Junior” may even have the chance to present their business ideas to the Yachana Directors for a chance to take out a small loan and put their business plan into action! I’ll be sure to relay the results. Starting this week and continuing through the next month, I’ll also be conducting research and administering surveys on the adoption of social media sites in the Amazon. The US has already seen the impact that sites like Facebook and Twitter can have on personal relationships, commerce, and mass communication. Not to mention, the unprecedented voice they can give to a politically charged nation. Living in an area that is on the cusp of adopting google, facebook, youtube, and all other off-spring of broadband internet is pretty exciting, and therefore worth researching! We’re flying by the seat of our pants down here in Ecuador these days. Lots of last minute meetings, travel plans, school changes, misunderstandings, and project alterations. Honestly, it’s been a roller coaster and I’m just now starting to “enjoy the ride.” For those who know me well, you can imagine it took some time for me to forego my google calendar that schedules my day in 15 minute increments and the notion that I could expect a meeting to start on time. But over the past few weeks I’ve seen how the “go with the flow” Ecuadorian mentality can also lead to major inefficiencies, organizational setbacks, and most importantly, loss of opportunity. Perhaps it’s the cultural tendency to think mostly in the “short term,” or Ecuador’s age-old habit of making quick fire decisions without really, well… thinking or communicating (i.e. throwing out 7 presidents in 10 years without stopping to wonder how that may look to investors wanting to invest in a “politically stable” country). Below you’ll find three “Oops” instances from my first month in Ecuador that may help to illustrate exactly what I’m talking about. They each vary in the severity of their consequences, but all could have possibly been prevented with a little previsto (foresight), planificación a largo plazo (long-term planning), rendición de cuentas (accountability), and comunicación (I shouldn’t have to translate this one….). I really don’t know if Ecuadorians will ever adopt such practices, nor do I think it’s anyone’s place to tell them they should. But the consequences are difficult ignore, and if left ignored Ecuador will continue to struggle in its effort to transition from an emerging market to one that is developed, self-sustaining, and thriving; not to mention delay the interest of impact investors who so whole-heartedly want to see countries like Ecuador realize their hidden potential. I walk up to a friend from Mondana (community where Yachana is located) and notice that the strap of her cotton bag is becoming unraveled and hanging on by a thread. Me: I notice your bag is becoming unraveled. I know how to fix it if you have some thread and a needle. Want me to help? 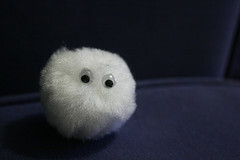 Girl: Oh yes, it’s been unraveling for a few days now. But no thanks, I’ll just wait and fix it when it breaks. Me: Well if you want I could fix the tear and reinforce the rest of the strap, that way it will last longer and you won’t have to worry about fixing it if it breaks while you’re away from home. Girl: Really? You know how to do that? How interesting. Thanks, but it’s still not broken yet. I’ll just wait. My friends and I are about to cook dinner at our hostel in Tena, and have invited a few amigos who were staying elsewhere to join us. The kitchen is outdoors, in a common area, and open to hotel guests. Out of respect we thought we would mention to the hostel owner that we would be having some friends over. Us: Señora, we´ve invited some friends over for dinner and wanted to let you know. We’ll be very quiet and clean up after everything. Your outdoor kitchen is amazing and we’d love to show our friends. Obviously I’m not about to tell a Señora how to run her business. But the kitchen has been built and is therefore a sunk cost. Allowing a few non-customers to enjoy the space alongside hotel guests would not have cost the owner a single extra penny. In fact, by allowing friends of guests to enjoy the hostel’s new common spaces she is essentially employing more mouths to spread the word about her business for free! You can’t buy that kind of word-of-mouth publicity in the tourism industry. But the curse of the short-sighted Ecuadorian business owner continues…. This example is perhaps the most heartbreaking of all, but it also represents a wonderful lesson in communication, accountability, and organizational sustainability. At Yachana, which is a considerably well-run organization compared to others in Ecuador, I’m still a little confused as to who exactly is in charge of what, and what exactly each department is responsible for at the lodge. This became even more apparent after a serious storm this past Sunday when the Napo River rose so high and grew so wide that low-lying houses, buildings and moored boats were in serious danger. As soon as river started to rise early Sunday morning, boat owners from around the community began to bring their canoes to higher, more secure ground. And rightfully so – since there are no roads and the community relies on its canoes to travel to/from the market, school, and elsewhere. But what about Yachana’s boat – the 30-person, dual-motor, covered fiber-glass canoe that brings tourists (aka income) in and out of Yachana multiple times a week? Who is responsible for keeping that boat safe? The hotel manager? The higher ups in Quito? Whichever boat operator is on duty? By about mid-day, the river was raging. Actual trees were being ripped out of the ground and carried down the river. By the time Yachana’s boat operator decided he should probably move the boat to safer ground, it was too late. Upon trying to nudge the boat into a small cove, the current caught the tail end of the canoe and whipped it around horizontally so that the whole boat was sideways. 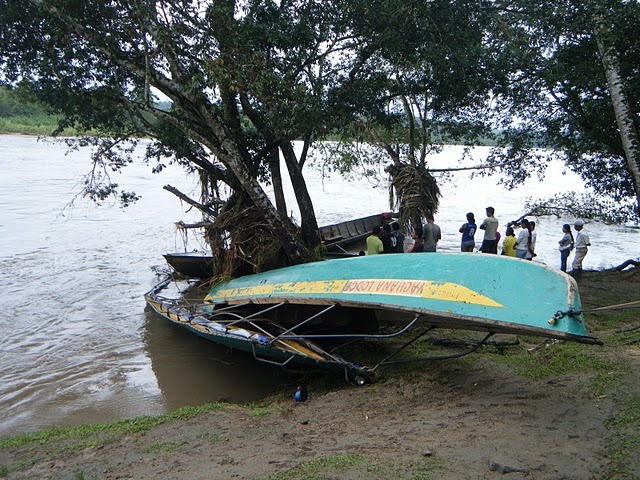 Unable to regain control against the current, the boat was forced against a tree and endured hours of river-beating until it was actually flipped upside down from the force of the current. Me: Who is in charge of keeping the boat safe? Staff member: I’m not really sure. Me: Oh. Well who will tell the hotel management in Quito the boat is destroyed? Me: Oh. Is boat insurance available in Ecuador? Staff member: (laughing) I’m not really sure, but probably not. Me: Uh oh. So who pays when something like this happens? Me: And how often does the river flood like this? Staff member: Oh, at least once a year. So essentially, it is certain that the river will show its fury at least once a year. It’s 100% going to happen. But have measures been taken to put someone charge and establish a contingency plan in the event the river tears up more than just trees? Nope. Mental note – there is a business opportunity in the boat insurance industry in Ecuador. 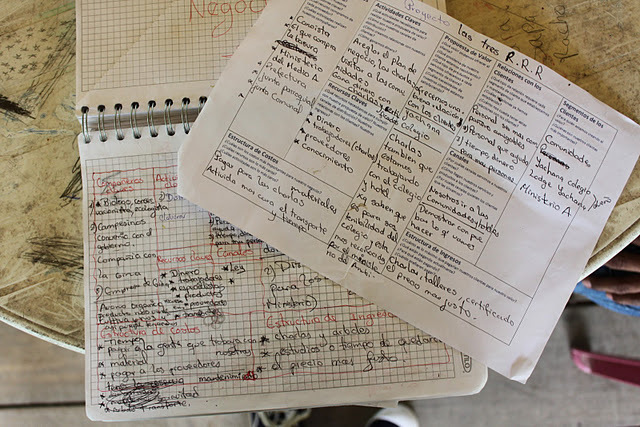 When I’m not researching social enterprises…..
Gracias, but maybe next time. 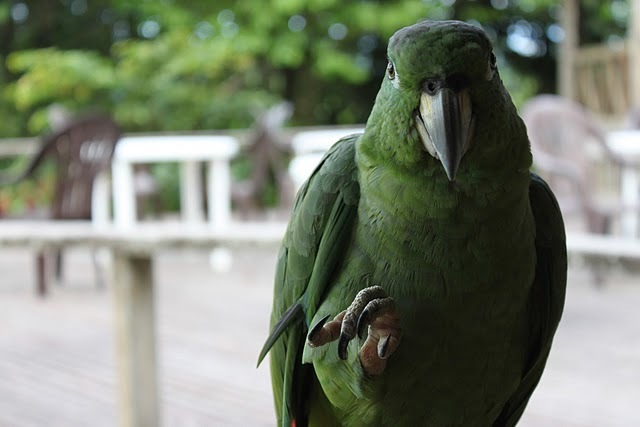 …I’m defending myself against the lodge’s crazy pet parrot, Yolanda… who takes the term “pecking order” to a whole new level. It's a long road, but I see friendship in our future. 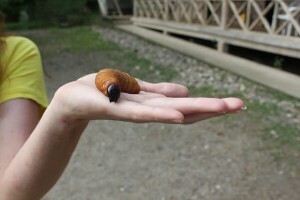 Apparently this happened because "the bugs don't know me well enough" yet. …I’m tending to my mosquito net and making sure ALL personal effects are kept up off the floor. Open shoes and backpacks make for cozy spider condominiums! US vs. the Jungle... I'm sure you can guess who won. …And if it’s right around sunset, you can find me gazing out at this view that no Spanish or English word could ever describe. That’s for darn sure. The good news is – we made it to the jungle! It’s been about a week since we’ve arrived, and let me tell you…. This place is freakin’ amazing. I can say with certainty that never again will I have the opportunity to spend 5 months at place like Yachana, no less in the middle of the Amazon rainforest. Yachana Technical High School (where I live, research, work, and teach) is about 2 hours south along the Napo River from the city of Coca. Everything is greener than green, there are flowers and birds with colors Crayola can’t even compete with, and the people here are super tranquilo. The bad news is – I’ve already been bitten by a Parrot named Yolanda, I’ve counted over 100 bug bites, a few of my electronics have fallen victim to the humidity (see ya’ in dryer times, I Pod), and did I mention the insects here are ENORMOUS? For now at least, the good continues to outweigh the bad and I think that as I get more involved in my projects the bugs will eventually disappear into the background (right?). So… on the subject of getting settled, it’s been interesting trying to figure out how I can best be of use here. On the academic front, I’m compiling a list of social enterprises that I’d like to visit and hopefully write a few case studies about. With respect to giving back to Yachana for so graciously putting me up in the finest of jungle high schools (pics to come soon), I am developing a series of workshops on business modeling, professional planning, and social media for the high schoolers here. If you read my first post, you’re probably wondering how I’m going about my main reason for coming to Ecuador, which was to connect impact investors with social entrepreneurs in the Amazon. Well, that’s still a little TBD. And for good reason….that being, it’s hard to connect to anything out here. To even leave Yachana, I would have to take a canoe to the nearest town (about $20 for 20 minutes… no, thank you) or wait until a group of tourists come in or out of the Yachana lodge from Coca. Thank goodness for satellite internet, otherwise you’d only see a blog post once a month! The reality is, the Amazon region of Ecuador is still extremely difficult to access (you have to go up and down and around the Andes just get to its opening), very few roads have been built here (most are stone roads if they are built), and electricity and modern plumbing are sparse. For instance, we get electricity from a generator only from 6 – 9 pm, and our water is pumped up from a small estuary. (Let’s just say I hope the rainforest never runs out of rain.) But again, this is the Amazon. With so few inhabitants, why would it need the comforts of the quote un-quote “civilized” world? With the technology that is currently available in Ecuador, not only would it be extremely costly but also extremely detrimental to the environment and habitat of so many precious plants and animals if we paved a ton of roads and ran electrical wires and PVC plumbing everywhere. Building is also difficult since the rivers are constantly expanding and receding, and the ground is loose and uneven. Renewable energy. Obvi. A good majority of the time, it’s pretty sunny here. And solar technology gets better by the second. There are some companies that are already experimenting with roof panels, but the possibilities are endless! (on top of canoe covers, floating solar lilly pads in the river banks, I’m sure you can think of more). Also, most of the tributaries that flow to Amazon have a strong current. Micro-hydro generators have been proven to generate consistent electric current and do not damage natural habitats like large hydro-electirc plants can. Finally – biomass. Everyone and everything in the jungle (and the world) poops. Let’s start capturing that methane and cook with it! The problem with renewable energy technology is that it’s still new in Ecuador, costly, and difficult to maintain. But I have faith that the bright, young, engineers of the world will heed my calling and develop something that’s light, inexpensive, and durable. Durable, bug-proof, humidity-resistant electronics. I say this mainly from personal experience, but also in seriousness. If you were told that a laptop, camera, I pod, phone, or other electronic device would only last a year in the jungle because of the extreme humidity and the bugs that fly into its crevices, would you buy it? I sure as hell wouldn’t. (Don’t worry Mom and Dad, I’m taking precautionary measures with my computer and camera 🙂 ). So how can we expect those who live in the Amazon rainforest to adopt new technology if it’s not economically worth it? A micro franchise of (sustainable) river taxis / buses. Outside of the Amazon, most of Ecuador is connected by large network of city, municipal, and national buses. It’s not a stretch to say that you can pretty much get anywhere west of the Amazon by bus. But inside the Amazon, roads are sparse. Most communities are settled along the major rivers, and thus most transport is done by boat. There are several private canoe operators, but none that offer organized public transit, much less in a sustainable fashion (all of the boat motors are diesel). Also, gasoline is extremely pricey. In case you missed it earlier, it can cost one person as much as $20 to go just 20 minutes. That’s where the beauty of public transportation comes in! Wouldn’t it be great to have a few, slightly larger, hybrid canoes taking community members to various markets so they can sell their goods, participate in commercial activities, and access services like healthcare, banking, and higher education? I sure think so. In the next posts, you can look forward to an inside view of my life here in the jungle, and hopefully some more updates on social enterprise in the Amazon. Have a question or comment? Click on the word bubble to the right of each post's title to leave a note, and I'll try my best to respond! international travel on Cultural Recipe for an Entrepreneur? Christian on Cultural Recipe for an Entrepreneur?